Phoebe Watson was born in Doon, Ontario in 1858. Her parents were Ransford Watson and Susan Mohr (mill owners), and her brother was the artist Homer Watson (d. 1936). In addition to painting china, she produced water-colour and oil landscapes, and portraits. Her portraits include those of six mayors of Waterloo, Ontario, as well as two portraits of Queen Victoria. Her work was shown at WAAC exhibitions and through the Ontario Society of Artists. 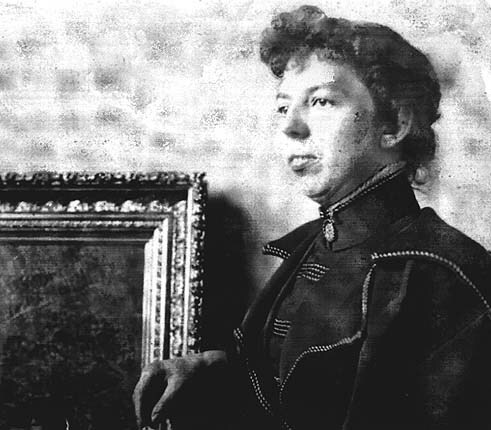 She became the curator of the Homer Watson Art Gallery in Doon, a position she held until she died on October 22, 1947. Phoebe Watson painted 12 soup plates for the dinner service.